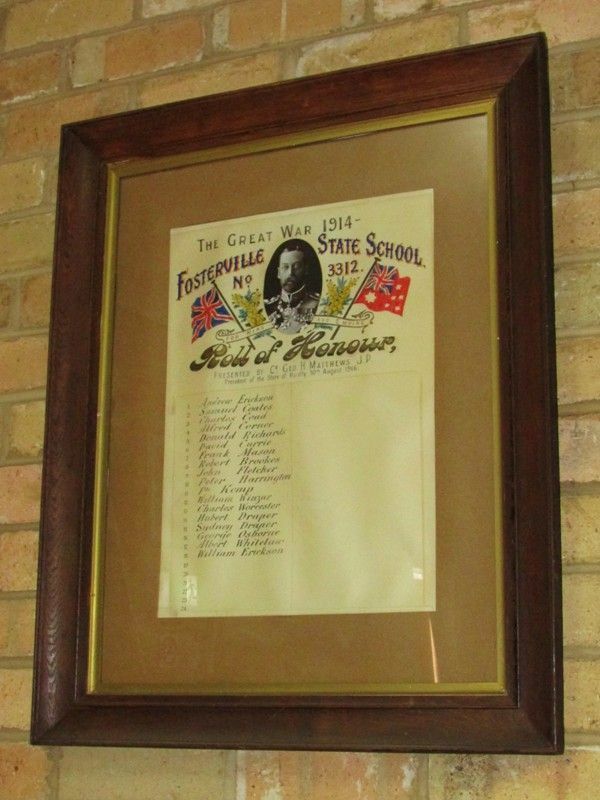 The Fosterville State School Honour Roll was presented to the school by Councillor George Matthews, president of the Shire of Huntly on the 30th August 1916. 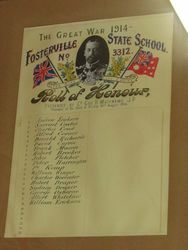 The roll commemorates those who enlisted in World War One. Presented by Cr.Geo. 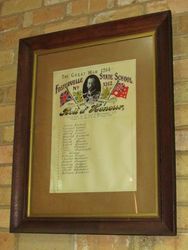 H Matthews J.P.
President of the Shire of Huntly, 30th August 1916.